While the PC industry as a whole is shrinking and tech companies seem focused either on thinner, lighter devices or pushing prices down at any cost, there's a tiny sliver of the market that doesn't care for either of these things. This is the power user segment, and this is where you look when you want the absolute best performance possible, and when money is no object. Such products aren't always easy to find, especially in India, and they exist well beyond the usual scale of most people's budgets. This kind of hardware is aimed primarily at those who have seriously heavy workloads. The difference between ordinary and "extreme" hardware can mean a lot in terms of time saved when you have tons of 3D visualisations or 4K video to render, for example. Plenty of gamers also want the best possible experience. Besides them, there are overclockers who want to break records and of course a fair number of buyers who are in it solely for the bragging rights. 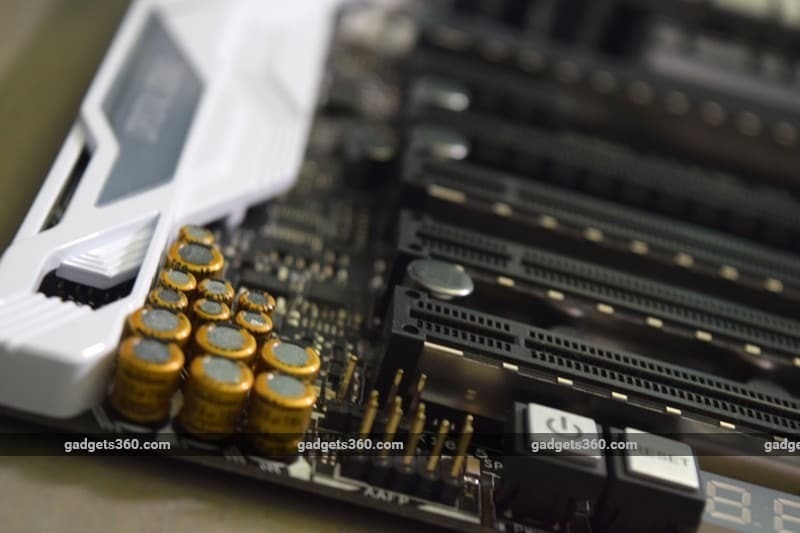 Intel caters to such folk with its "Extreme Edition" Core i7 CPUs and X-series platform controllers, around which industry partners manufacture motherboards. 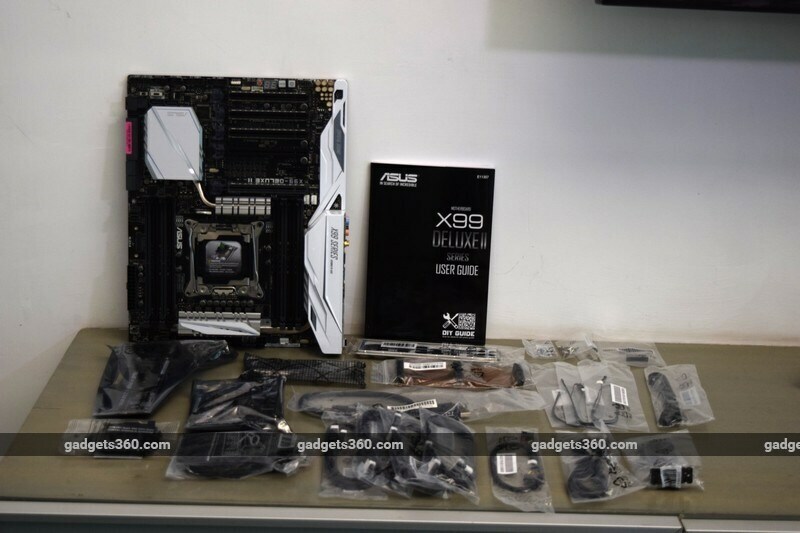 We have with us today Intel's recently launched Core i7-6950X, its absolute top-end consumer CPU; and a befittingly expensive motherboard, the Asus X99-Deluxe II. Intel uses the relatively tame-sounding name "high-end desktop processors" and there's nothing in their model numbers that makes these CPUs stand out from the rest of the lineup. They seem to slot right in with the regular Core i3, i5, and i7 CPUs, but they're completely different. Each generation is based on a souped-up version of the previous mainstream architecture, more closely related to Xeon server chips. While everything in the sixth-generation portfolio up to the Core i7-6700K is codenamed Skylake, the Core i7-6800K and above are codenamed Broadwell-E. Only one standout star, the Core i7-6950X, has that distinct X and the "Extreme Edition" tag on its name. Broadwell of course is Intel's codename for the fifth-generation Core series, which was developed primarily for laptops and portable devices - the company pretty much skipped a generation between Haswell and Skylake for desktops. Broadwell was the first of Intel's architectures to be manufactured at the 14nm process node, down from 22nm. While the mainstream Core i7s top out at four cores, previous Extreme Editions have gone up to six and eight. With the new Core i7-6950X, Intel has gone ahead and introduced the world's first 10-core desktop PC processor. Thanks to the Hyper-Threading feature, this means you get 20 simultaneous threads for all your complex multitasking needs. However, you'll pay a lot for that privilege: the new CPU is listed at Rs. 1,69,000. We're seeing it sell for around Rs. 1,32,000 online but that's still an awful lot compared to last year's flagship, the Core i7-5960X, which goes for around Rs. 80,000. Below this model slots the octa-core i7-6900K and the hexa-core i7-6850K and i7-6800K. There's 2.5MB of cache per core, so the i7-6950X gets 25MB in total while the i7-6800K gets 15MB total. All four support DDR4 RAM and are rated for 140W of power draw. They all need a motherboard based on an Intel X99 platform controller, and all use the the LGA2011-v3 socket. Prices start at Rs. 44,000 (Rs. 34,500 retail) and scale up dramatically from there. However, there's one particular oddity about the lowest-end i7-6800K model which makes it seem like less of a bargain - while all the others can handle up to 40 PCIe 3.0 lanes for high-speed communication with other hardware such as GPUs and USB controllers, this one has only 28 lanes available to it. Because of power and thermal constraints, the 10-core i7-6950X has a base clock of 3.0GHz and can Turbo Boost up to 3.5GHz, whereas the 6-core i7-6850K has a base of 3.6GHz which can go up to 3.8GHz; the highest of the lineup. What's interesting here is that Intel's new Turbo Boost Max 3.0 feature polls each individual CPU constantly as it is running to determine which of its cores is the strongest at any point of time, so that single-threaded applications can be forced to run on that particular core at up to 4.0GHz. This happens transparently in the background, and can change depending on workload and operating conditions. Intel says that Turbo Boost Max 3.0 can result in significant spikes in performance as and when required, which allows work to happen faster in cases when software is not optimised for multiple CPU cores. Single-threaded workloads could benefit from this, especially since the top clock speed is lower with more cores. You'll need Windows 10 and a specific driver from Intel to enable this feature. As opposed to the rest of Intel's consumer lineup, all of Intel's High End Desktop CPUs lack any integrated graphics capability. The assumption is that you're going to use a powerful discrete graphics card anyway. Similarly, you don't get a cooler in the box along with the chip itself, since there's no point letting a stock cooler go to waste. A lot of buyers will want a liquid cooling solution, but whatever your choice, you have to buy it yourself. So what do you get when you spend so much on a Broadwell-E CPU? One factor is of course the raw power for single- and multi-threaded applications. On top of that, you get to move from dual-channel DDR4-2133 RAM to quad-channel DDR4-2400. However, the main attraction by far is all those extra PCIe lanes, which are necessary for multi-GPU configurations. You only get 16 lanes with the Core i7-6700K, so if you want more than two graphics cards at full speed, you'll need this platform. This might not be such a big draw now that Nvidia has pretty much killed SLI, but it remains the only option, and we'll soon see interesting multi-vendor, multi-GPU combinations thanks to DirectX 12. Those lanes can also be used for multiple high-speed NVMe SSDs, USB 3.1, and Thunderbolt controllers, 10-Gigabit Ethernet, and more. 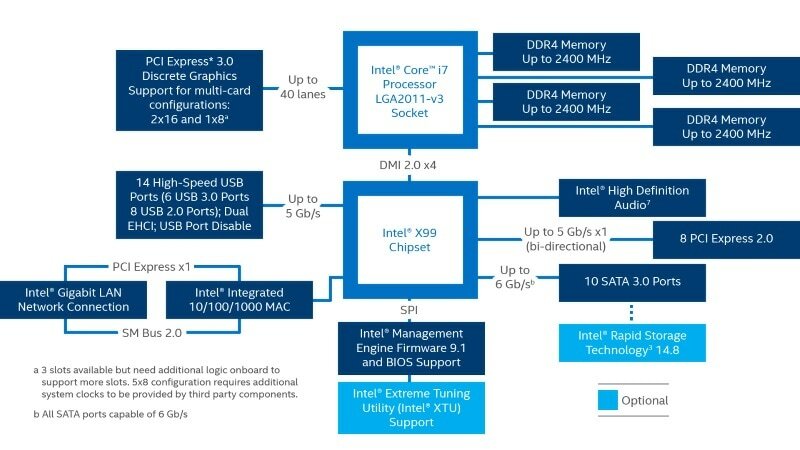 The Intel X99 platform controller, or chipset as it's more commonly known, was introduced with Haswell-E. Since this isn't a major generation shift, Broadwell-E works with the same platform. However, to keep things fresh, motherboard manufacturers have released a second wave of X99 motherboards with incremental updates. If you're buying new rather than upgrading, it only makes sense to look at the newer, "v2" crop of X99 models. There's no question of compatibility; there should be nothing stopping you from running either generation of CPU on any X99 board. With an integrated memory controller, your system's RAM is wired directly to the CPU. The allocation of PCIe lanes depends on each motherboard manufacturer and model. The majority of them should be dedicated to PCIe x16 slots for graphics, but that still leaves a lot of bandwidth for input/ output to and from SATA and PCIe storage devices, USB, and Ethernet. You get up to 6 USB 3.0 ports, 8 USB 2.0 ports, and 10 SATA 3.0 ports - that's a lot, but more can be added by motherboard manufacturers using additional third-party controllers. There's no graphics on either the CPU or chipset, but Intel HD Audio is implemented on the X99. By nature, all X99 motherboards are premium. 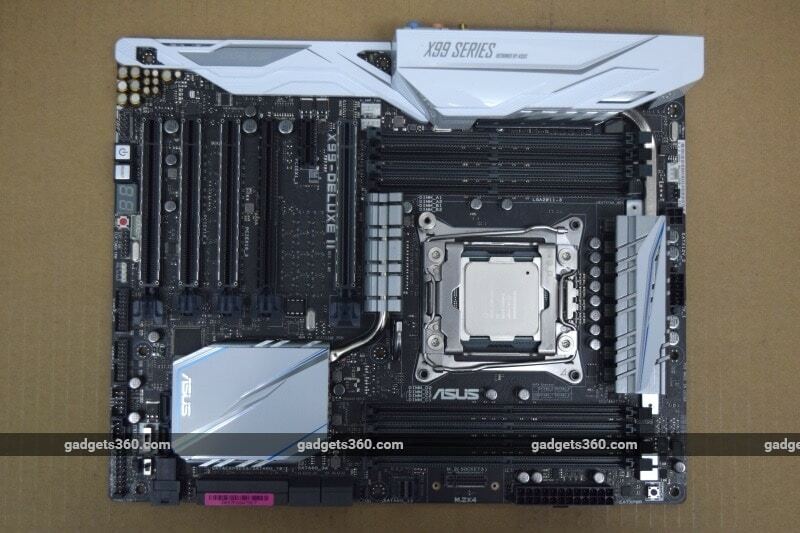 However, each manufacturer has several models to offer, and the X99 Deluxe II is one of Asus' top-end ones. This board is absolutely packed with features - so much so that space had to be used very creatively. It's a revision of last year's X99 Deluxe, updated with a few new standards and design improvements, plus of course support for Broadwell-E without needing a BIOS update. This motherboard is extremely dense. You have white accents on heatsinks covering the X99 chip and voltage regulators near the CPU socket, as well as a decorative shield around the rear port cluster and audio circuitry. We were slightly concerned about clearance around the CPU socket, but our rather large Cooler Master Hyper 212X cooler sat just fine, not interfering with the RAM slots. You might have trouble with more elaborate coolers and RAM modules that have tall cooling fins, which is why a lot of people choose to use water cooling solutions with radiators that can be mounted elsewhere. You get Asus' Aura RGB LED lighting scheme, but the only things that light up are the plastic shield at the back, one side of the X99's heatsink (which is covered by most graphics cards) and the plastic tabs of the PCI-e slots. We noted a disconnect between the lighting controls on some of Asus's previous products, and this model now has a header and included wire which you can use to synchronise lighting controls between compatible Asus products. The rear port cluster is impressive, with no fewer than three USB 3.1 (10Gbps) Type-A ports, one USB 3.1 Type-C port, four USB 3.0 (5Gbps) ports, and four USB 2.0 ports. There are also dual Gigabit Ethernet ports, a cluster of 3.5mm audio sockets and an optical S/PDIF output for multi-channel digital audio. Finally, you'll see three antenna connectors for the onboard Wi-Fi ac module. There are no legacy ports at all, and no video outputs since there's no integrated graphics. 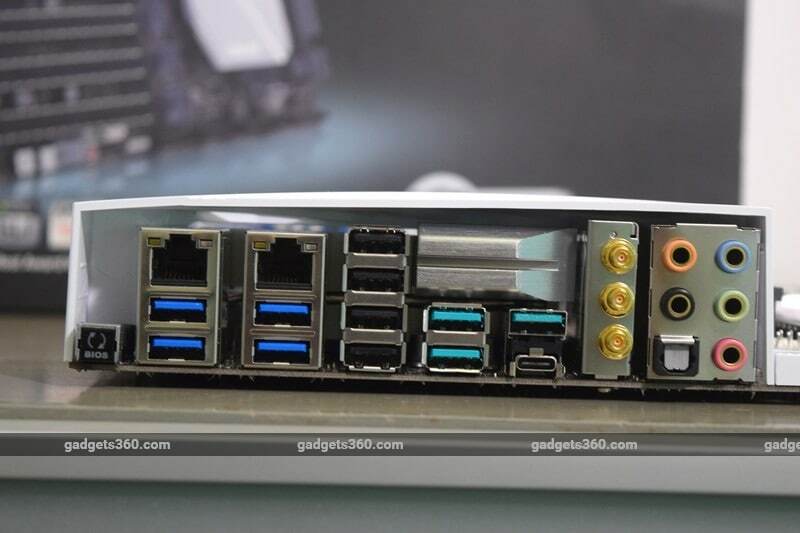 You also get internal headers for four more USB 3.0 ports and two more USB 2.0 ports, for your case's front panel. Thunderbolt 3 is implemented as a separate PCIe card which is bundled in the box, with a very short DisplayPort cable so you can route your graphics card's output through this card and into a single Thunderbolt stream. Also in the box, you'll find a small fan controller board and a PCIe riser for M.2 cards of any length. That last one is important because there simply isn't room on the motherboard itself for standard-length 80mm M.2 SSDs, let alone 110mm cards (should you ever need one). There's only a single M.2 slot on the motherboard and that too, it's placed vertically. Asus bundles a metal bracket that you can screw to the motherboard to prevent an M.2 card from accidentally snapping, and that's a good thing because they really are delicate and meant to be mounted flat. 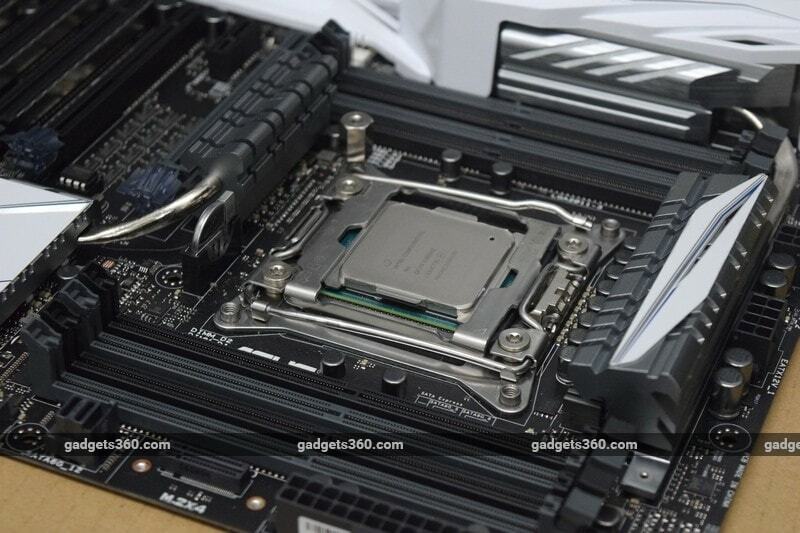 The riser is the only way you can use multiple M.2 slots - which are common on even mid-range motherboards now. However, what you don't often see is the very similar U.2 standard - and the X99 Deluxe II has two of these ports for high-speed NVMe SSDs. Both M.2 and U.2 use four PCIe 3.0 lanes to give SSDs tremendous amounts of bandwidth, breaking free of legacy SATA limitations. M.2 is meant for naked SSDs mounted to the motherboard itself, whereas U.2 can be used for more traditional SSDs in enclosures, which is the preferred approach for server-style enclosures. U.2 support comes at the expense of SATA Express, which is no loss - we've never actually seen a drive that supported the clunky hybrid SATA-PCIe standard. 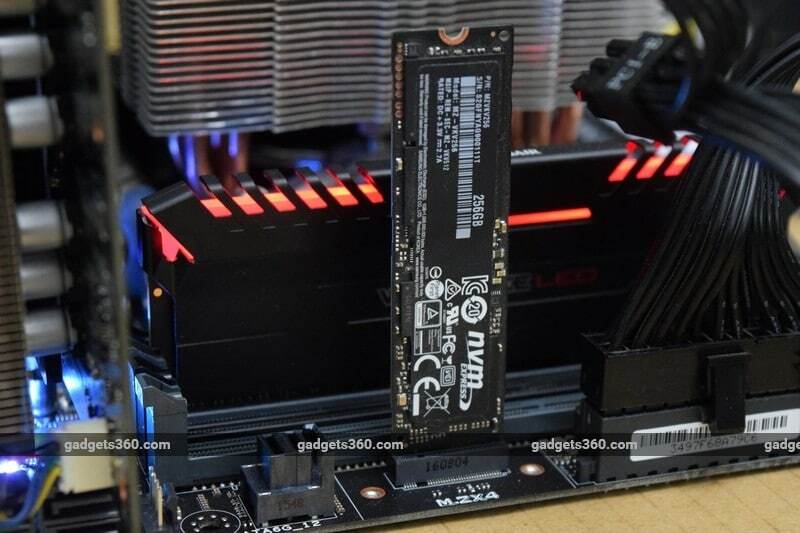 There's only one SATA Express port on the X99 Deluxe II, which is unlikely to ever be used, and six more SATA 3.0 ports for today's common SSDs and HDDs. Audio is handled by a high-end Realtec AC1150 codec which supports 192KHz/24-bit audio. Audio circuitry is isolated from the rest of the motherboard to reduce interference, with a dedicated power regulator. The Ethernet controllers are both from Intel, and bundled software lets you set priorities for different applications. There's also Bluetooth 4.0. Other little touches include improved shielding on the PCIe 3.0 slots to help keep heavy graphics cards in place, an additional power input near the CPU for more stable overclocking, surge protection on the Ethernet ports, a padded rear port shield with fewer sharp edges, an onboard LED readout for diagnostics, bundled temperature sensors, and individual controls for up to nine fans. All of this comes at a price - Rs. 37,850 to be exact. That's more than an entire mid-range laptop or PC would cost, but fitting for a companion for a CPU like the Core i7-6950X. It's unlikely that Socket 2011-3 will serve another CPU generation, so a board like this could be a good choice for a workstation that's intended to be useful for a very long time before it's upgraded. We ran a variety of benchmark tests and performed a few real-world tasks designed to test various aspects of the CPU and identify the kind of applications that might really benefit from it. We performed exactly the same actions on a similarly configured Skylake system. The exact configurations are as shown below. All testing was performed on open test benches. Turbo Boost Max 3.0 was enabled, except where specifically stated otherwise. The results are absolutely fascinating, because quite simply, the Rs. 1,69,000 Core i7-6950X was not always better or faster than our Rs. 27,000 Core i7-6700K. When it won, it often did so by a massive margin, but there were plenty of tests in which the i7-6950X was not only not better, but actually significantly worse. The best illustration of this was Cinebench R15, a 3D rendering benchmark. The i7-6950X posted a record score of 1,848 points in the multi-threaded CPU test. Obviously, having 10 physical cores and 20 threads is a huge advantage over ordinary quad-core systems - the Core i7-6700 managed just under half that much, with 918 points. However, Skylake managed a narrow win when we switched to the single-core test: 180 points for the newer architecture vs 165 points for Broadwell-E. This seemed like a great way to validate the effects of Turbo Boost Max 3.0, so we disabled it and the score dropped even further to 147. Similarly, POVRay's built-in benchmark took 2 minutes, 9 seconds to complete on the Skylake test bench, but that was almost halved to 1 minute, 8 seconds on Broadwell-E.
SiSoft SANDRA's various subsystem tests showed significant gains in terms of CPU arithmetic power, multimedia, encryption, and cache bandwidth. Interestingly, the gains weren't as great when performance per Watt was factored in. High-end workstation users likely aren't concerned by power consumption and heat dissipation, but it's worth noting. PCMark 8 actually showed slight reductions in scores across the board for the Haswell-E system compared to Skylake. Geekbench 4 favoured Skylake in its single-core test, and while Broadwell-E pulled out ahead in the multi-core test, the i7-6950X didn't seem to scale to ten cores as well as the i7-6700 did to four. 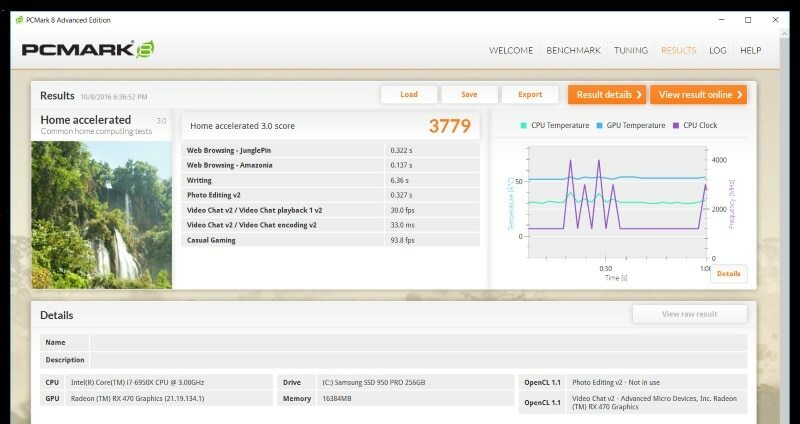 3DMark Fire Strike Ultra showed a marginal improvement. We transcoded a 3.2GB MOV file to h.264 using Handbrake on both test systems. While the Skylake CPU completed the task in 1 minute, 50 seconds, Broadwell-E took only 1 minute, 4 seconds. On the other hand, a test of file compression using 7zip on a collection of assorted files of different sizes took 1 minute, 1 second on Skylake but 1 minute, 38 seconds on Broadwell-E. Finally, we launched into a few gaming tests. Deus Ex: Mankind Divided, Metro: Last Light Redux and Ashes of the Singularity all showed practically identical scores on both systems. 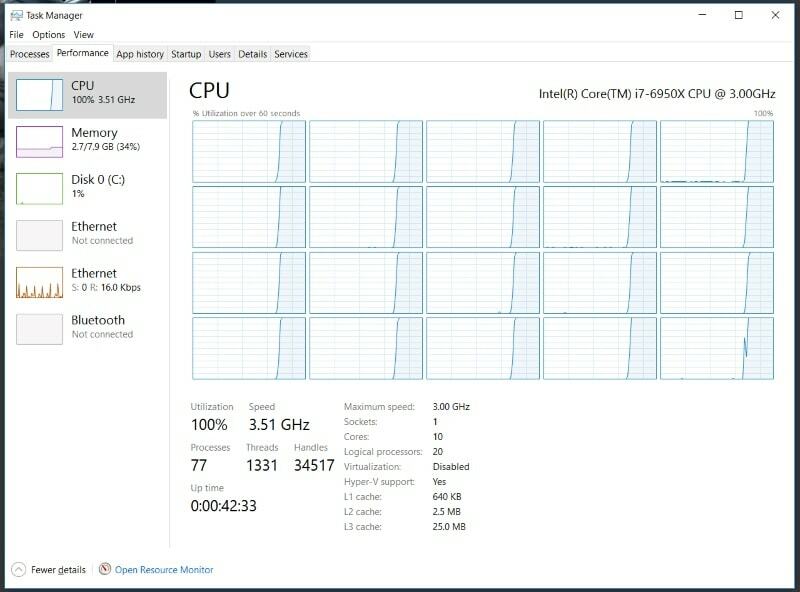 There was no benefit in going from four cores to ten. Intel has coined a new marketing term, "megatasking", to describe situations that warrant having 10 cores and 20 threads. Not all software can take advantage of them, so Intel imagines users will do several things at once, such as playing a game, encoding video of it on the fly, and broadcasting live over the Internet. 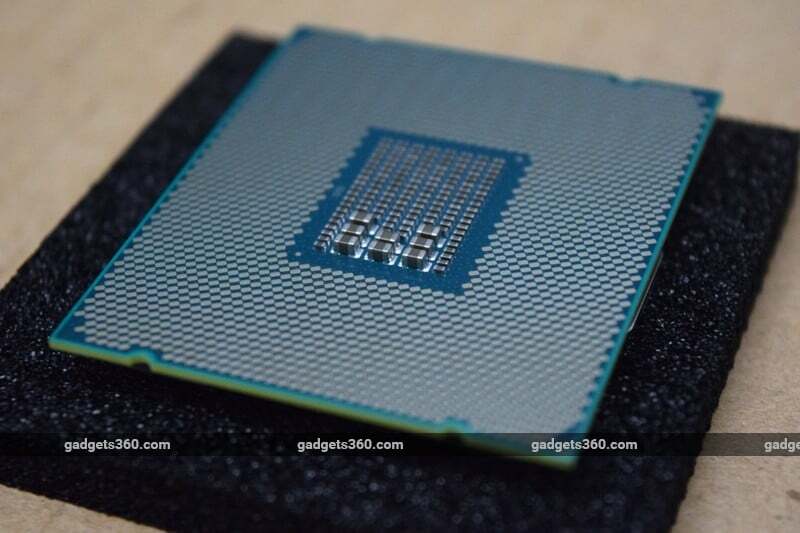 While users with such demands are exactly the kind to spend multiple lakhs on a gaming rig, the Core i7-6950X in particular serves a very, very tiny niche. Broadwell-E is a generation behind Skylake in many respects, and the price-performance ratio greatly favours the newer architecture - even the most expensive Core i7-6700K looks like an absolute steal in comparison to the i7-6800K. In fact, the only main of the platform is the massive number of cores, which you don't get in the lesser models. The other selling point, lots of PCIe lanes to host multiple graphics cards, is largely pointless now that Nvidia has killed off multi-way SLI. If you're only after the best gaming performance and don't need to "megatask", you're actually better off with Skylake. Those who will benefit most from Broadwell-E are content creators who want to render video, animation or 3D work as quickly as possible. With the advent of VR content creation, that audience might even grow. Those who are looking to build a PC around the Core i7-6950X for whatever reason will find that the absolute minimum outlay required is around Rs. 3,00,000. The CPU, motherboard and RAM alone are going to cost over half of that amount, plus you'll need a discrete graphics card (and there's no point skimping there), a high-end power supply, a dedicated CPU cooler, at least one big NVMe SSD, and a solid cabinet to hold it all. Then there's the cost of the monitor(s), peripherals and a Windows license to factor in. The buying decision for this specific CPU comes down to one very simple question: how much money is your time worth? If you do decide to go for it, Asus' X99 Deluxe II is a worthy match to such a high-end CPU. We loved its feature set, especially the connectivity options. An investment now will do you well over the next several years. The only real downside is that you can get X99 motherboards for a lot less if you don't want all the bells and whistles that Asus jammed in here. 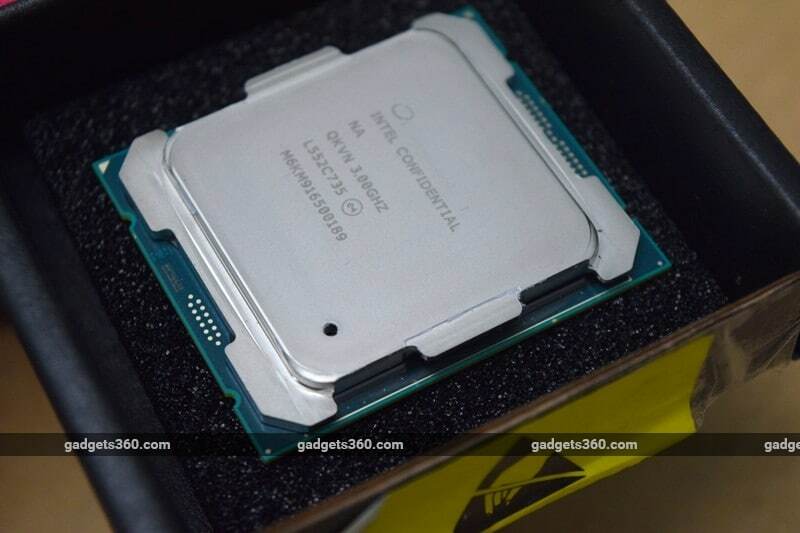 product We tested Intel's mammoth new 10-core desktop CPU, the incredibly expensive Core i7-6950X.